Dr. Debraj Shome needs no introduction in the world of cosmetic and plastic surgery. 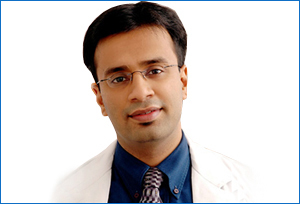 He is a renowned facial plastic surgeon. As a facial plastic and cosmetic surgeon, he deals with various types of complex facial plastic and reconstructive surgery. He is the founder and board member of various clinics including The Esthetics Clinics. Currently Dr. Shome is the head of department of plastic and facial cosmetic surgery at The Esthetic Clinics. In addition to being the HOD at The Esthetic Clinics he is also a visiting surgeon in some of the top hospitals of Mumbai including the Breach Candy, Apollo Spectra hospital which is in Chembur area of Mumbai, Balabhai Nanavati Hospital in Vile Parle, the S L Raheja Fortis Hospital in Mahim and the Saifee hospitals in Charni Road, all in Mumbai. He also served as the HOD for facial plastic and cosmetic surgery in Hyderabad for three years at The Esthetic Clinics in the Apollo hospital, India. He has also been associated with the Aditya Jyot Eye hospital in India. He played a very vital role in developing the Department of Oculoplastic surgery and Facial plastic surgery along with executing the role of HOD at the Tata Memorial Research Center in Mumbai, India. He is currently based in Mumbai. He completed his initial medical studies in Mumbai at the famous JJ group of hospitals and the Grant Medical College. He then completed his higher specialization in ophthalmology from Sankara Nethralaya, Chennai in India. He also has the DNB (Diplomate of National Board) which he obtained in the year 2004. He also has degree from the FRCS which is the Fellow of Royal College of Physicians. He then proceeded ahead to pursue a ophthalmic plastic surgery & orbital fellowship from the LV Prasad Institute in India. He then completed a very strenuous fellowship from the University of Utah, USA in Cosmetic Facial plastic Surgery. Afterwards he proceeded for another fellowship from the MD Anderson Cancer center in Head and Neck surgery. Dr. Shome also completed an AOCMF sponsored fellowship in Maxillofacial surgery from the iconic Morriston Hospital in Wales, UK. He has completed his fellowships in different branches of facial and cosmetic surgery and this makes him one of the most qualified facial surgery specialists in Mumbai. He also has MBA in healthcare in the year 2008 from one of the best business school in the US. He is determined to provide best quality healthcare to all the people in India. Facial reconstructive surgery after facial trauma, facial cancers and ocular cancers. Facial plastic and cosmetic surgery which includes procedures like rhinoplasty, blepharoplasty, surgical face lift, mini face lift, thread lifts, Septoplasty, otoplasty, facial grafts, facial implants etc. Orbital and lacrimal surgery for trauma management and facial and ocular reconstruction. He is also an expert in surgery for orbital tumors and orbitotomies for orbital decompression, proptosis etc. He also has expertise in various non- surgical cosmetic procedures like Botox, eyelash enhancement, Juvederm, Ultherapy, Sygmalift, derma fillers. He is an oculoplastic and facial surgeon which means he has super specialization in the plastic surgery of the ocular area. This super specialization means that Dr. Debraj is the best surgeon in India who is qualified to carry out plastic surgery of the ocular area. He has also written various medical papers on ophthalmic surgery and facial plastic & cosmetic surgery as well. He specializes in ocular oncology and deals with complicated cases of retinoblastoma, orbital lymphoma, hemangiomas etc. He also performs surgical and non- surgical body contouring using liposuction, Lipolysis etc. The prominence of stature of Dr. Debraj Shome in the field of facial plastic and cosmetic surgery has been reaffirmed by various awards and honors that have been bestowed for his phenomenal professional achievements. In the year 2006, he was given an award for winning the quiz contest at the annual meeting of All India Ophthalmological society by Dr. A.P.J Abdul Kalam. Dr. Shome holds a record for winning the best session prize not once or twice but five times at the National Annual Scientific Conference in the year 2003, 2006, 2007, 2009 and 2010. He is the recipient of various prestigious grants and awards which are exclusively awarded to doctors and researchers who tread on the unknown paths to enrich the world of medicine by innovation as well as research. One of the most prestigious awards known as the Davies Foundation Grant Award which is given by Royal College of surgeons, Glasgow, United Kingdom was awarded to Dr. Debraj Shome in 2010. The exclusivity of this award can be quantified from the fact that it is only awarded to two doctors from all over the world who do remarkable work in the field of cancer research and therapy. This award also recognizes the contribution of the individuals in paving the way towards a world in which cancer will no longer be a terminal disease. The list of various research grants awarded to Dr. Debraj Shome is really long. He has received grants from government organizations including the Department of Science & Technology, Department of Biotechnology and the Council of Scientific & Industrial Research. He has been honored by research award grant from Sir Ratan Tata trust along with the first ever Bharat Biotech LVPEI Travel Grant Award in 2005. For his prodigious research in oncology he was awarded with Travelling Grant Fellowship Award by Royal College of Surgeons, Glasgow in 2005. He has been called an ‘Achiever- Plastic Surgery’ by Express Healthcare which is a health publication by the prestigious Indian Express Group in 2007. In 2010, at the annual meeting of All India Ophthalmological Society Conference he was awarded the prestigious Colonel Rangachari Award & Hanumantha Reddy award for his immaculate paper and game- changing invention of a cancer drug known as the carboplatin which has shown great hope for treatment of facial, ocular and neural cancers. In 2015, he received wide acclaim as he added yet another feather in his hat, when he received the award for being the ‘Most Promising Face in Facial Plastic Surgery’ by the Network 7 media group. This award was given to him at the 6th annual Leadership Conclave & Indian Affairs Business Leadership Awards. In the same year, he was again applauded for being the ‘Best Plastic Surgeon in India’ and this time the honor was given to him by none other than Shri Shripad Yesso Naik, Honorable Union Minister of Health & Family Welfare & Dr. C.P. Thakur, MP & Former Cabinet Minister, at the Helathcare Excellence Summit & Awards which were held in New Delhi. The awards and laurels kept coming his way and the next in line was the award for ‘Breakthrough Innovator in Facial Plastic Suregry’ which was given by Pharma Leaders at their Annual Power Brand Awards in Mumbai in December. The award was given in association with the Ministry of Health & Family Affairs, Department of Pharmaceuticals and the Ministry of Chemicals & Fertilizers. Dr. Debraj Shome has been chosen as the recipient of innovation awards because of his progressive approach which has helped India in becoming one of the top destinations for facial plastic and cosmetic surgery. The year 2016 saw yet another award going straight to Dr. Debraj Shome. This time the award for being the ‘Best Plastic Surgeon in India’ was given by the CMO Asia at the coveted National Healthcare Excellence Awards. The winning streak continued asserting his commitment for cosmetic and facial plastic medicine with the award for ‘Best Cosmetic Surgeon in India’ at the IBDA which is India’s Best Doctors Awards which are given to an individual to recognize his contributiin in improving the healthcare infrastructure in India. Dr. Shome list of laurels continues to grow in the current year as well. He has been awarded for being the ‘Indian of the Year’ at the 8th Annual India Leadership Conclave & Indian Affairs Business Leadership Awards 2017 which were held in Mumbai on 4th August 2017. The ILC Power Brands awards are held every year to honor individuals who have blazed the trail in their respective professions. The awards have been instituted by the famous Network 7 media group. He was also applauded for carrying out the first ever nasal reconstruction in India using rib cartilage on a young patient suffering from ectodermal dysplasia. Dr. Shome’s knowledge and insights are highly valued therefore he has been designated as a ‘reviewer’ for the Indian Journal of Ophthalmology, ‘Ophthalmology’ which is one of the primary cosmetic journals in the world, ‘Head and Neck Surgery’ which is a journal by American Academy of Ophthalmology along with ‘Dermatologic Surgery’ and ‘Archives of Facial Plastic Surgery’ which are most prominent medical journals in the field of facial plastic surgery. His articles and columns have been published in leading newspapers like The Times of India and many other regional newspapers as well. He also happens to be one of the very few Indian to have a US patent for QR678 hair growth molecule which he has co-invented with Dr. Rinky Kapoor. The QR678 molecule has changed the scenarios of hair growth treatments in India and is now considered to be one of the most effective treatments for people suffering from acute hair fall.